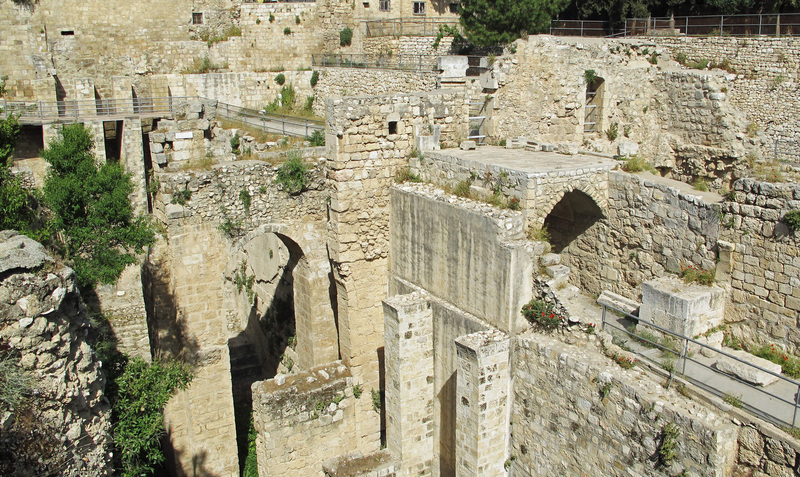 Earlier this month we were in Jerusalem at the pool of Bethesda. It’s down a few layers in the city now, but it is still possible to see that it was an impressive place. 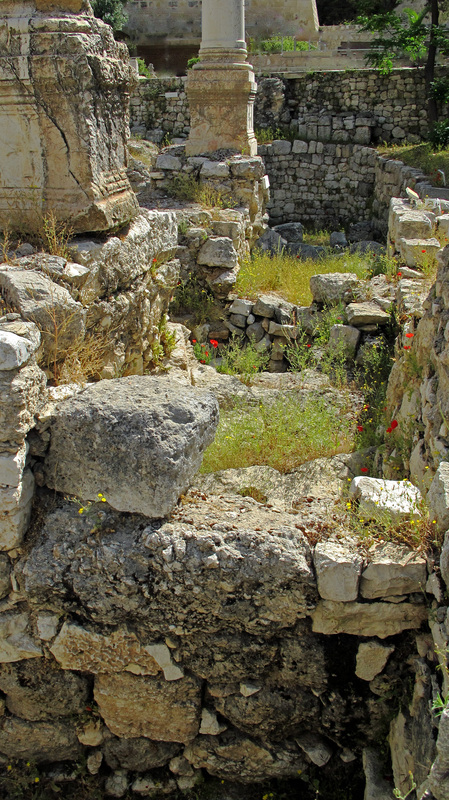 Partial excavations show that in the time of Christ Bethesda pool was probably the size of an Olympic swimming pool. What an odd question. He was obviously disabled and obviously in a place where people went to be healed. Why the question? Now there is in Jerusalem a pool near the Sheep Gate. 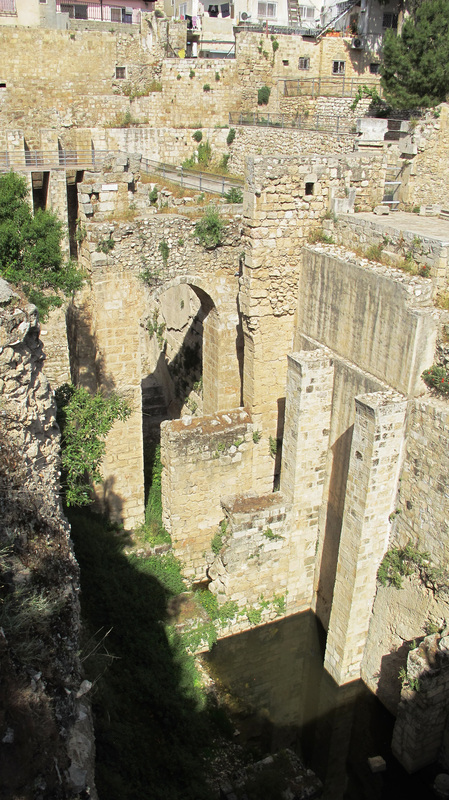 This pool in the Hebrew is called Bethesda, having five porches (alcoves, colonnades, doorways). In these lay a great number of sick folk—some blind, some crippled, and some paralyzed (shriveled up) waiting for the bubbling up of the water. Jesus said to him, Get up! Pick up your bed (sleeping pad) and walk! Instantly the man became well and recovered his strength and picked up his bed and walked. But that happened on the Sabbath. So the Jews kept saying to the man who had been healed, It is the Sabbath, and you have no right to pick up your bed [it is not lawful]. He answered them, The Man Who healed me and gave me back my strength, He Himself said to me, Pick up your bed and walk! Now I am not a person who blames victims of the evil one –the one who came to steal kill and destroy -for not receiving healing because of a lack of faith. How horrendously cruel is that? I don’t know why some are healed and, at the time of writing, most are not. My heart aches with frustration when I see a person suffering and I don’t know what to do. I hate it! Sometimes it feels like a capricious angel comes down and stirs the water and then goes back to harp-strumming on a cloud or something. All I know is that people who pursue Jesus see more healing than people who accept illness as the natural order of things. For many years I believed that illness was my lot in life, that my calling was to accept it graciously as “my cross to bear,” as “God’s will” and forge on. I actually became rather proud of my reputation as an overcomer. The problem with people who label themselves “overcomers” is that their identity becomes permanently attached to whatever victimized them in the first place. Overcomers need things to overcome. It’s hard to let go. Here’s the thing: God understands what is deep in our hearts. His purpose is to restore our hearts at least as much, if not more, than our bodies. He wants to go deeper. He wants to restore our relationship with him and renew our thinking. Healing and miracles point to something bigger; they are not the destination. I realized then that if I were miraculously healed I would have no excuse for avoiding commitments. An illness that went in and out of remission unpredictably gave me an excuse. If I were healed I would need to tell people how it happened. The active, living Jesus would be more than a comfort in my preparation for death. Healing would require me to live, a prospect that was more daunting than I could admit out loud; it could delay my pie-in-the-sky day. (Silly girl! But I didn’t know Abba as a good daddy then.) If I were healed I would need to take up my responsibilities and walk out of that place –publicly. I would need to pick up my comfortable familiar bed and get on with life. I could face uncomfortable conflict with friends who held to different doctrines. I hear something else in the Bethesda man’s response. When asked if he wanted to be healed, he didn’t say yes. He gave an excuse for why he had not been. Perhaps I am projecting here, but I wonder if he had become comfortable with self-soothing and resigned to being alone. I wonder if the bed he had made for himself was a poor-me bed. I wonder if he secretly thought, like I sometimes did, that there must be something special about me that God would assign me to a life of suffering because he knew I could take it. I wonder if that was sin Jesus warned him not to go back to. I wonder sometimes if we graciously accept the “impossibility” of reaching the stirred-up pool method of healing when the Saviour Himself is holding out his hand to us, because that alternative is just too scary. I wonder, as was the case of several other biblical characters, like blind Bartemeaus, or the Syrophoenician woman with the tormented daughter, or the woman with the perpetual period, if we need to exercise the bit of faith granted to us by pursuing him, by impolitely crying out to him, by barging in to contend for our child, by breaking social taboos and going after the healing he provided with His bloody striped back. The enemy of our souls has not yet admitted defeat. We are in a conflict with an enemy who, although defeated and stripped of legal authority, is still powerful and fighting, and in such a conflict there are still casualties. I don’t know why some are healed and some are not and I admire the lack of bitterness in many people who face huge physical challenges and the things they can teach us. Sometimes, in the course of bringing in the kingdom of Christ, we will lose battles and we mourn. But sometimes, when we work our way past disappointment, when we “find the gold” gained through suffering and put our foot down, when we realize the authority Christ gives the ones totally dependent on His goodness, then we can dare to declare, like Gandalf on the thin bridge, “You shall not pass!” Then we see the Saviour turn his face to us as he smiles and raises us up to battle again. 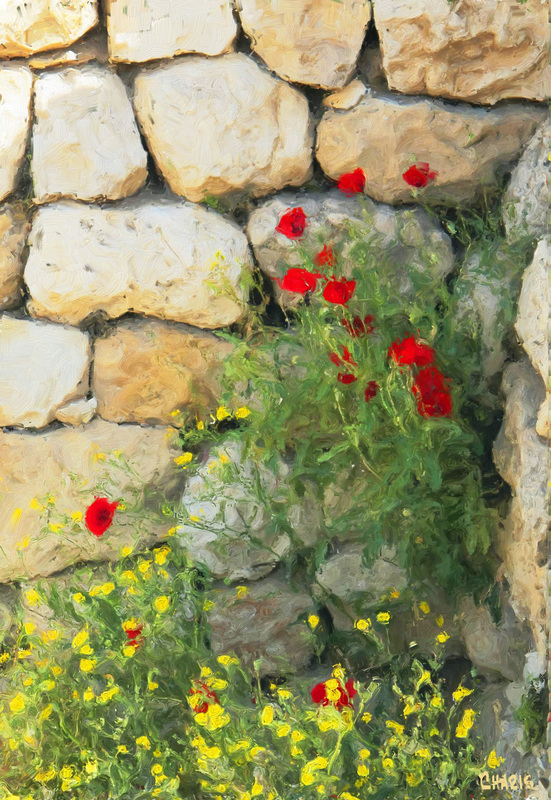 Then, like the Bethesda man, we can let go of our familiar spot under the five stone colonnades, get up, move the inadequate beliefs we have been resting on, and follow Him. How grateful I am for the ones who stood with our family when our loved one faced certain death. They put their collective foot down, reconciled petty differences to band together and declared, “He shall not die!” This week he encouraged the ones who battled for him when he walked into church, unaided, stood before the congregation and gave glory to God. Enjoyed your testimony of deciding that you wanted to be healed. You made some excellent points. It is not comfortable confronting some issues in our lives that hold us back from truly living. I’m glad you chose life and the pursuit of Jesus. Your blog is making an impact! The adventure continues. After I wrote this someone made a Facebook post suggesting that his friends go out and eat ice cream. I have a number of food intolerances, lactose being one of them. Jesus said, “Well?” and I started to explain why I don’t need healing for that after all these years…. OK. So I just had a bowl full and even put chocolate sauce on it. Nothing like living on the edge. Yes, following Jesus is an adventure. He loves us and wants us whole more than we want the freedom. I look forward to the next chapter. No reaction to the ice cream! Hallelujah! God is our Healer! You are on my heart, dear Deborah. you’re in my heart everyday too! I’ve been stretched because of your faith! That is a very loaded question and one I asked my mom as I was praying for her and the cancer that was found in her body. Thank you for the please of ice cream Lord!! You make ALL things new! Much more loaded than we think. Praying for your mom.